When cold weather comes your way, your first thought will be at what temperature do plants freeze, in other words, how cold is too cold? There is no easy answer to this. 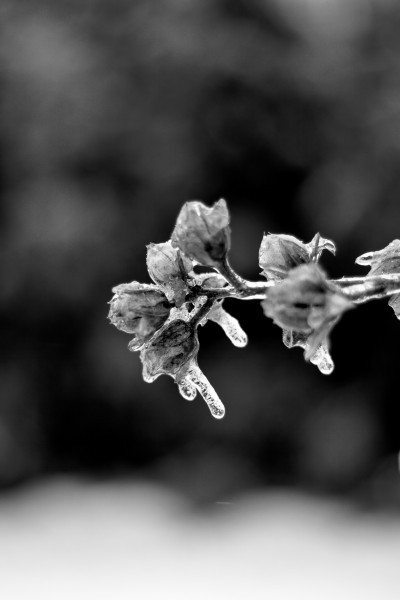 Different plants freeze and die at different temperatures. That is why they are given a hardiness rating. Some plants produce special hormones that keep them from freezing, and these plants have a lower hardiness rating (meaning they can survive colder weather) than plants who produce less of this hormone. That being said, there is also different definitions of survival. A plant may lose all of its foliage during a freeze and the plant can regrow from the stems or even the roots. So, while the leaves cannot survive a certain temperature, other parts of the plant can. If you are only expecting a light freeze, you may be able to protect plants in a freeze simply by covering them with a sheet or a blanket. This acts like insulation, keeping warm air from the ground around the plant. The warmth may be enough to keep a plant from freezing during a short cold snap. For added protection when you protect plants in a freeze, you can place plastic over the sheets or blankets to help keep warmth in. Never cover a plant with just plastic, however, as the plastic will damage the plant. Make sure that a cloth barrier is between the plastic and the plant. Be sure to remove the sheets and blanket and plastic first thing in the morning after an overnight cold snap. If you do not do so, condensation can build up and freeze again under the covering, which will damage the plant. When protecting plants in a freeze that is longer or deeper, you may have no choice but to expect to sacrifice all or part of the plant in hopes that the roots will survive. Start by heavily mulching the roots of the plant with either wood mulch or hay. For added protection, you can nestle gallon jugs of warm water into the mulch each night. This will help drive off some of the cold that can kill the roots. If you have time before a freeze happens, you can also create insulation barriers around a plant as a way how to protect plants from freezing. Tie up the plant as neatly as possible. Drive stakes that are as tall as the plant into the ground around the plant. Wrap the stakes in burlap so that the plant appears to be fenced in. Stuff the inside of this fence with hay or leaves. Again, you can place milk jugs of warm water on the inside, at the base of this fence each night to help supplement the heat. A string of Christmas lights wrapped around the plant can also help add additional heat. As soon as the freeze passes, remove the covering so that the plant can get the sunlight it needs. Watering the soil (not the leaves or stems of the plants) will also help the soil retain heat and can help the plant’s roots and lower branches survive.